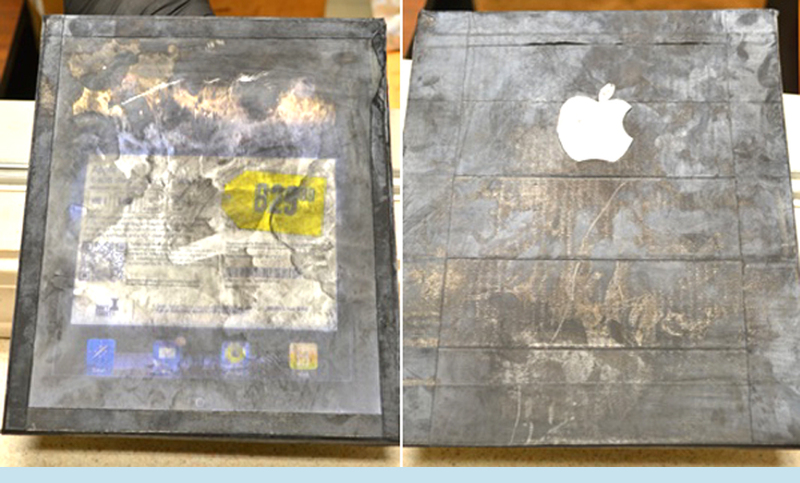 The Fake Apple iPad scam is something new, but is claiming victims who are shelling out hundreds of bucks and getting just the wooden planks with the iPad and Apple logo on them. One of the latest victim who reported the case with the local police, was Ashley McDowell, 22, who was approached by 2 black guys who showed her a large number of boxes and claimed that they bought the iPads in bulk and wanted to sell them at a cheap price. They asked her USD 300 and she said she had just $180. They agreed and sold one of the boxes from the bulk and rushed away in their Impala, and McDowell later opened the box when she reached home, to discover that she was cheated. Apart from the information that one of the black sellers had a golden tooth, and they drove in an Impala car, the buyer could not give any other information. The cops have taken the finger prints on the plank to see if they could get any evidence, and the sellers are smart enough to design the planks in a weight that matches with the iPad so the users can trust it till they reach home to see the shocker. Just for a tip, if you own a real iPad, here is how you can increase the performance of the iPad, and the best iPad 2 Apps, and the iPad vs iPad 2 comparison.